All artwork © copyright Maria Levandowski. All rights reserved. Images may not be reproduced in any form without the permission of the artist. Welcome to Maria Levandowski Artworks. 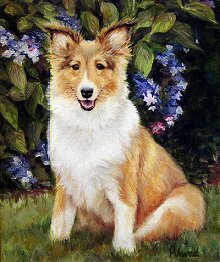 Here you will find traditional and realistic artwork, rich in form and detail. Within the galleries are portraits of people, animals and flowers as well as landscape and still life paintings. All works are original and are for sale or are commission samples. 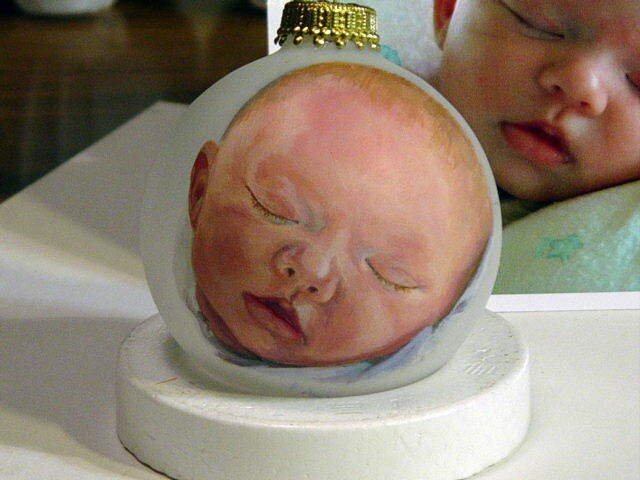 You will also find a gallery dedicated to my unique, one of a kind Portrait Ornaments which are available as commission pieces. I have loved art since I was very young and was involved in every creative project I could get my hands on. At age seven, my drawing was selected to cover a school Christmas magazine. I knew back then that artistic creation would always be an important part of my life. Currier Gallery of Art, now the Currier Museum in Manchester, New Hampshire. "There's nothing like getting paid for what you love to do." I studied drawing at University of New Hampshire, but ultimately chose a "more practical" career route. But I never forgot my instructor's words. draw in different mediums when I felt the creative tug at my sleeve. In 1999, while painting winter scenes in acrylic for Christmas gifts, I realized I loved painting. I bought oil paints and became completely consumed - waking up early and going to bed late to paint. 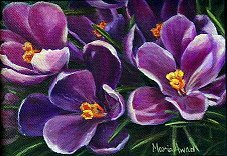 Since then, I have won multiple awards for paintings in both oils and colored pencil. I continue to hone my skills as a painter and push my boundaries as an artist. Manchester Artist Association; Organization of Independent Artists, NYC.